Tongues—and tails—are wagging over VisitScotland’s canny new campaign for an “ambassadog.” Does your rambling Rover have what it takes to be Scotland’s V.I.P. (Very Important Pooch)? If you’ve got a wee beastie as cute as this lassie, you’d be barking mad not to apply. (You knew that was coming). Photo courtesy VisitScotland. 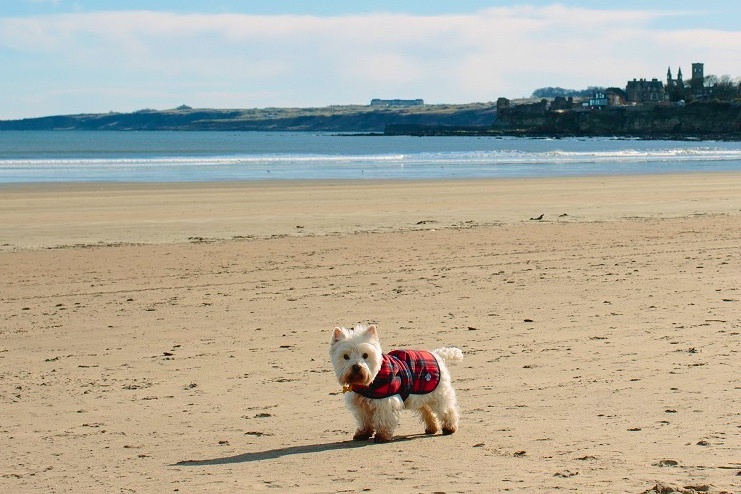 The lucky dog chosen for the role over all other competitors will be treated to a holiday around Scotland with his or her owner. Canine applicants must be “outgoing and sociable,” and the winner will have the opportunity to blog about the experience on www.visitscotland.com. So if your pup can type, he’ll probably win paws-down. The position is open for all dogs from any region of Scotland, whether he’s a West Highland Tartan Terrier or a Loch Ness Labrador. To bone up on details, click here. The deadline is April 6, 2016. May the best man…er, make that “man’s best friend”…win. Amy Laughinghouse, March 11, 2016. No Comments on Scotland’s Search for a Fetching Ambassadog. Category: Europe, Scotland, United Kingdom. Tagged: canine ambassador, Scotland, United Kingdom.